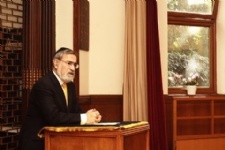 Over fifty delegates from the UK will be at Chabad-Lubavitch’s International Conference of Shluchim to be held this coming weekend in Brooklyn, New York. The conference, considered by many to be the largest rabbinical gathering in the world, will draw Jewish leaders from over 75 countries. During the conference, the delegates will join colleagues for lectures and workshops in order to enhance their outreach. 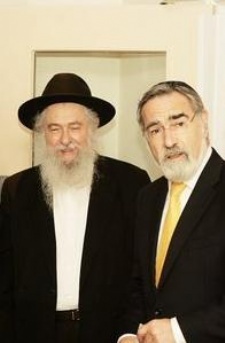 The Chief Rabbi, Lord Jonathan Sacks will be the featured speaker at the celebratory banquet on Sunday night. 4,500 guests are expected at the dinner, making it the largest sit-down dinner in New York City. The conference, which has taken place every year since 1988 provides Chabad’s emissaries with opportunities to discuss vital issues affecting their communities, study together and provide mutual support. The number of Chabad emissaries has grown every year since the late Rabbi Menachem Mendel Schneerson, Chabad’s leader, began the initiative in 1951. Chabad today is the largest Jewish educational organization in the world with centers in 47 of the United States and 77 countries around the world. As the conference is global in scope, sessions will be held in English, Hebrew, Yiddish, Russian, French, Italian and Spanish. There will be sessions on youth, education, collegiates, and community development. Rabbis from the former Soviet Union will focus on the unique challenges of building Jewish life anew in a region where communism was dominant for many years.